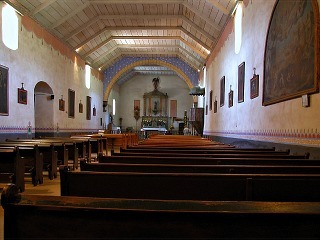 click photo to enlarge They say that this mission is the most faithfully restored of all of the missions. 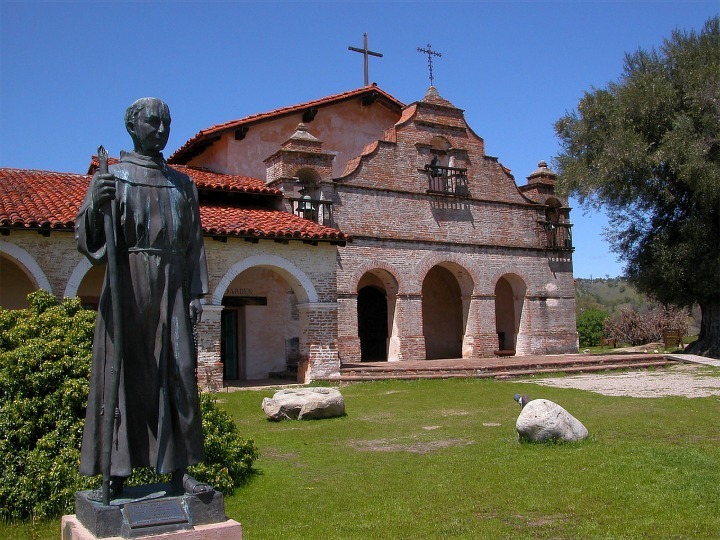 The bronze statue is father Serra. 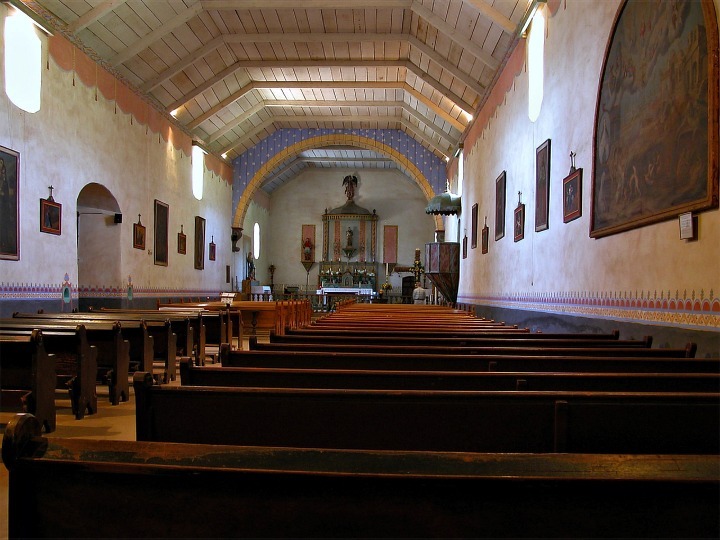 He is known as the Father of the California Missions. 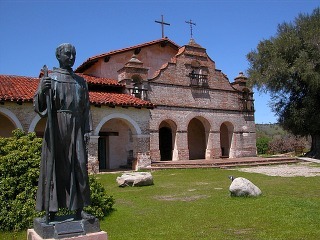 This same statue sits in front of many of the missions. click photo to enlarge This mission and the land it is on was once owned by William Randolph Hearst and was part of his hunting preserve. 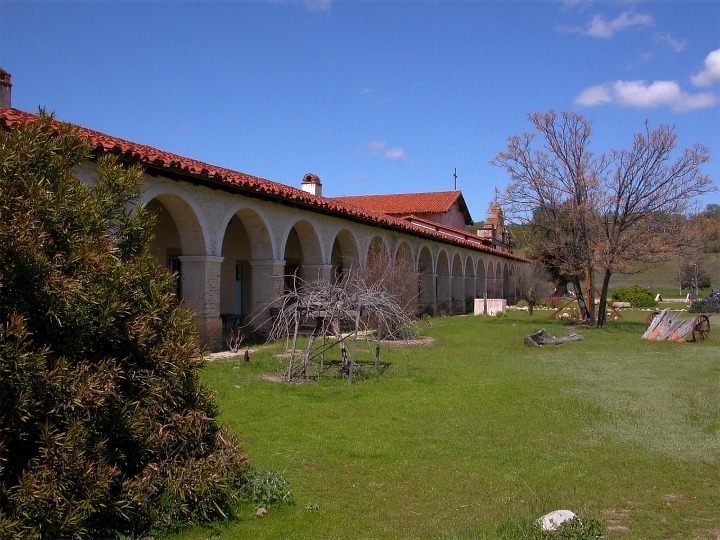 In 1949 the Hearst Foundation funded the restoration of the mission and they traded the land with the mission to the State. click photo to enlarge Today you have to go through a military installation that is used as a proving ground for testing all purpose vehicles. There are still may remains of the old original adobe buildings on the grounds. 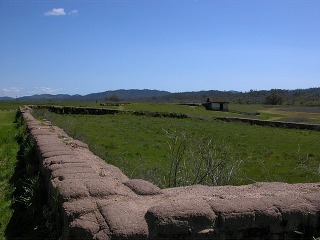 click photo to enlarge This way out of the way mission is well worth visiting. It is very pretty both inside and out and be sure to wander the grounds. 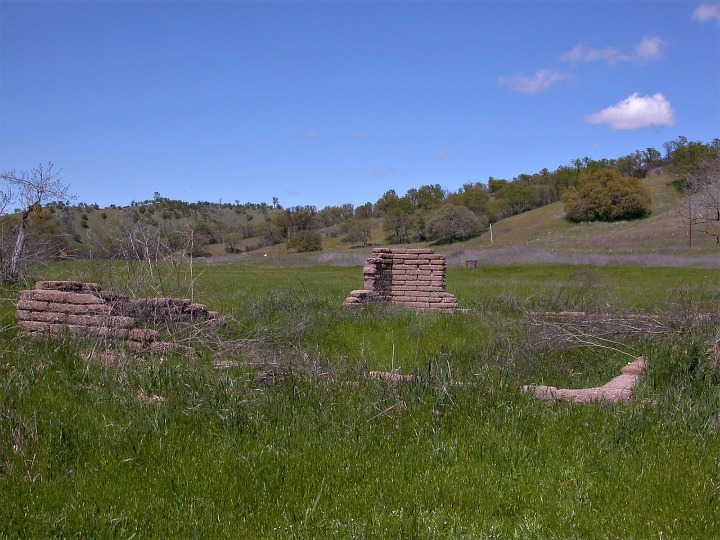 click photo to enlarge This site is an old Indian cemetery.